Shisha Pens, what are they? E Cigs come in various shapes and sizes and mostly consist of these components: A small liquid reservoir (tank or cartridge), a heating element (the Atomizer) and a power source (the battery). Shisha pens are for those who want the shisha (or “hookah”) experience but in the form of something a little more sleek and portable. 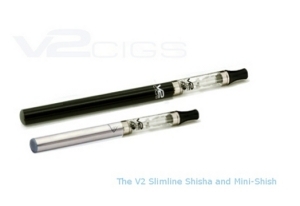 The Shisha pen is also known as the “mini tank” e-cigarette, essentially a vape pen for flavoured shisha e liquid. With the best shisha pen brands it’s possible to get a fantastic vapour production from something that is literally the size of a pen and with a mini-tank they can store quite a bit of e-liquid too. Don’t be too tempted with e-shisha’s that are flamboyant but lack proper build quality and reliability – stick with the basic solid devices. 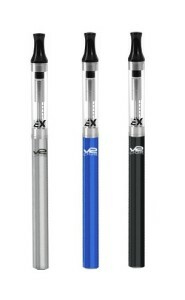 For a best quality shisha pen kit you’re looking at spending around £25 and these will typically include a mini-tank which holds your e-liquid, a rechargeable shisha pen battery, a charger and a wall adapter as well as the pen itself – so they can be very good value for money and popular among those new to e-cigarettes. However many are cheap Shisha pens imported from China – re-branded and just don’t give value for money. They often leak e liquid and shisha battery life is poor – often more colourful bling but not what you want. Stick with a tried and tested brand when sorting your e Shisha pen. Avoid the pre-filled Shisha pens as who knows what goes into that e-juice – it is an unregulated market!! See the V2 Shisha Pen/Mini-tank for a proper quality branded product Here. For the more technical vaper out there; the shisha pen is the term for a battery attached to a clear clearomizer. So the Shisha pen is a vape pen but generally used with shisha e-liquid which is flavoured and often with zero nicotine. If you have used cartomizers (cartridges) before, you may have started to notice a nasty “burnt” taste towards the end of the life of the refill – you would know that the cartridge was empty. This situation is avoided because the eliquid level is visible. With this kind of set up you should notice the e-liquid lasts longer and is more economical. Often users will say the taste of the e-liquid seems to be much more pronounced or sharper than with cartridges which sadly isn’t the case in a lot of the cheaper Shisha pen devices. Final word – stick with a branded product when buying your shisha stick and make sure the e-liquid is laboratory tested clean & pure – check out our best shisha pen reviews – see here.